We are in ministry with children and their families as we worship, study, play, serve, and grow in our understanding of what it means to be a child of God. Wesley provides weekly and annual programs for children Kindergarten through fifth grade. It is important to teach children about God, but even more important to inspire them to know God. We strive to help them come to know God personally through Jesus Christ, to reach out to others through service opportunities, and to make the Bible a part of their everyday lives. Wesley Monumental has choirs divided by ages which allow children an opportunity to learn how to offer their best praise. Our Junior Chorister group is for children in grades 2 through 5, our Novice Choristers are in kindergarten through grade 1. Be sure to visit our Children’s & Youth Choirs page for more information. Sunday morning classes are provided for all children at Wesley. Classes for children up to 5th grade meet from 9:45 to 10:45 a.m. The Godly Play curriculum is used for our K/1st grade class. Our 2nd/3rd grade class combines a traditional style curriculum from Spark House with Godly Play storytelling. The same Spark House curriculum is used for our 4th/5th grade class, but without the addition of Godly Play. After the Children’s Sermon at the 8:45 service, children in preschool through 1st grade are invited to attend Children’s Church. A Bible lesson and craft or game are provided as well as time to fellowship and play. Our 4th and 5th graders participate in a monthly mission and fellowship event. Past events have included making cookies for shut-ins, assembling health kits for UMCOR, holding a bake sale to benefit breast cancer research, and making dog biscuits for shelter animals. Watch the bulletin or the Monumental Messenger for dates and times for these events. For one week during the summer, Wesley Gardens Retreat Center is transformed into a café, a big top, the sea of Galilee, or whatever will help us have loads of fun while learning about God! The elementary age children meet in the Chapel for an opening program, then they travel around the grounds to have games, snack, crafts, music and storytelling, all with the daily Bible story as the focus. They regather in the Chapel for closing and a re-cap of the theme and Bible story. In addition to learning and having fun, the children also participate in a mission project. In the past, they have collected non-perishable food items for Wesley Community Center, men’s white socks for the homeless, and pillows for Union Mission’s Magdalene House. Our VBS program takes place weekdays from 9-noon, usually in mid-June. Registration for 3 year olds through 5th graders begins in April and runs through mid-May. 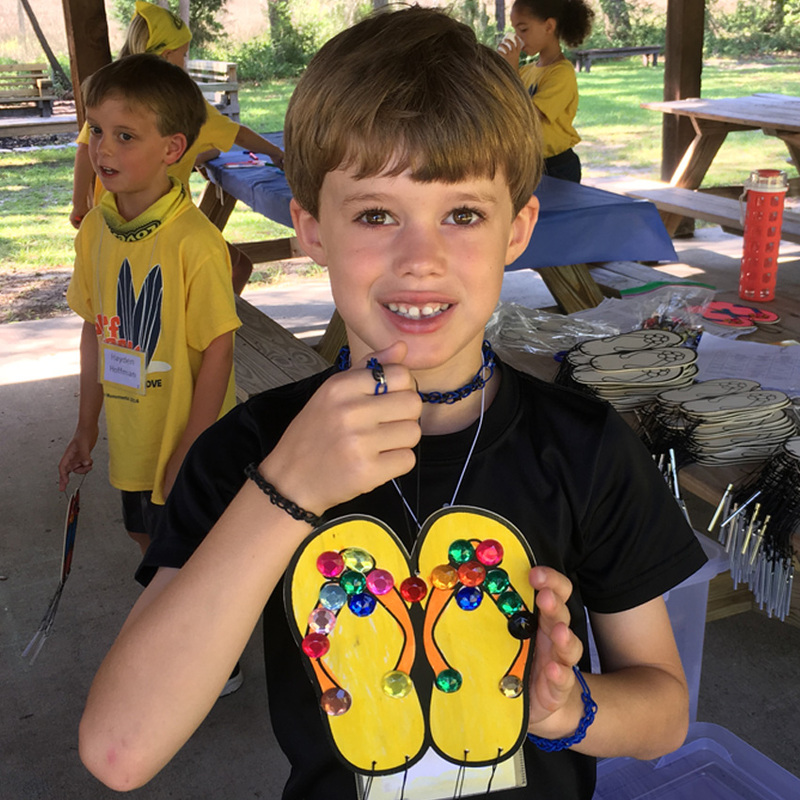 An outreach of Wesley Monumental UMC, Summer Camp at Wesley Gardens is a summer day camp experience for children who have completed kindergarten through fifth grade. Each day camp begins with a time of worship and singing in the outdoor chapel, followed by arts and crafts, island exploration, science activities, water games, outdoor recreation and more. Click here to find more information and registration forms for this year’s Summer Camp! Our annual Fall Festival is held on the last Sunday of October in the late afternoon at Wesley Gardens Retreat Center. Families can take a hay ride, paint pumpkins, play games, make fall crafts, and bounce and slide on the inflatables. Dinner is also provided. Before the actual hunting for eggs takes place, there are Easter crafts and stories for the children. 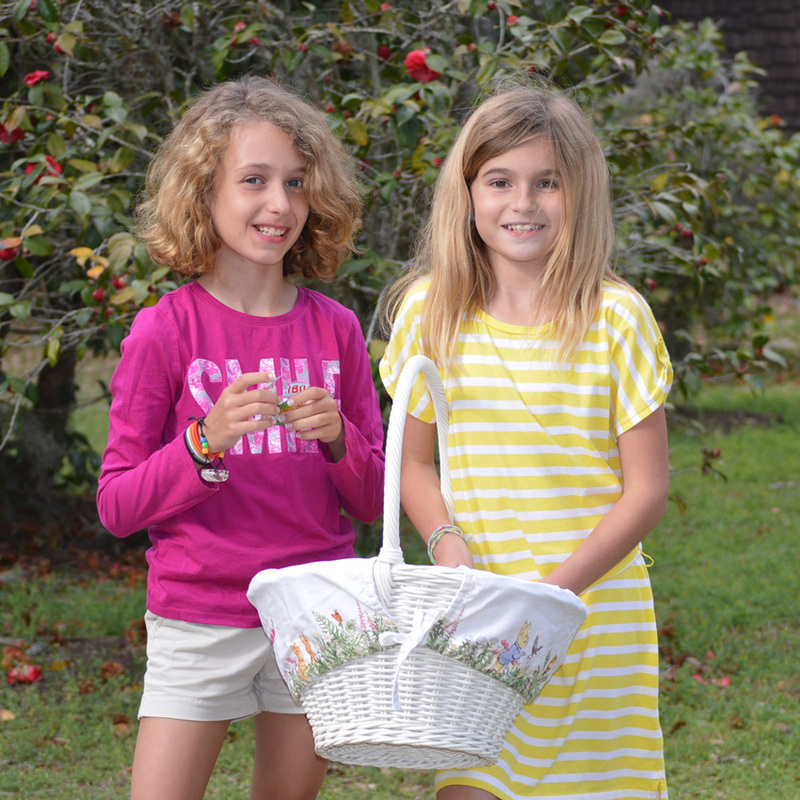 Elementary children are then divided into age groups to hunt for eggs filled with candy and the “golden egg” with a special treat in it! Cookies and lemonade complete the event! The birth of Christ is shared by our children each year through a Nativity Pageant. Children begin rehearsing lines and trying on costumes, as well as learning the music, early in the fall. The pageant is held in the sanctuary on a Wednesday evening as part of our Wednesday Night Supper and is a not-to-be-missed event. Each fall, Wesley presents each of our 2nd graders with their own Bible. The presentation is part of our morning worship service with each child called forward by name to receive a Bible from one of our pastors. Taking place in the winter, this trip is open to K-6th graders and their families. We gather at Epworth by the Sea in St. Simon’s and stay in hotel rooms for the weekend. During the days, we go to sites chosen by Epworth staff for child-friendly mission projects. Past projects have included laying pavers at a new day center for homeless people, holding a food drive, visiting with residents of a nursing home, and making care packages. There is also time to fellowship around meals at Epworth’s dining hall and for recreation on the grounds.